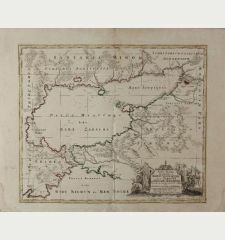 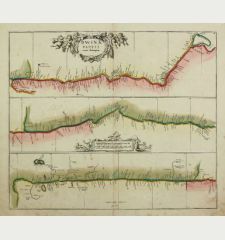 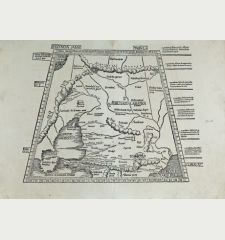 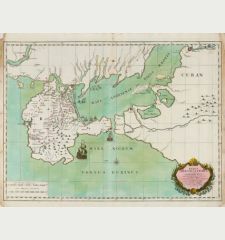 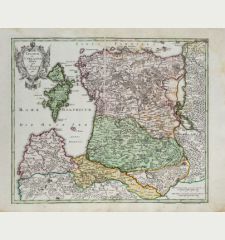 Antique map of the Crimea, Ukraine. 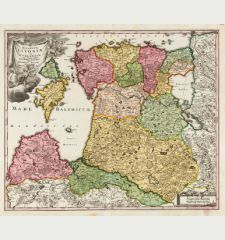 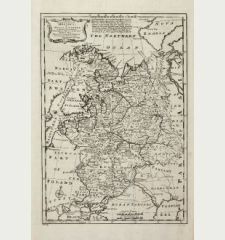 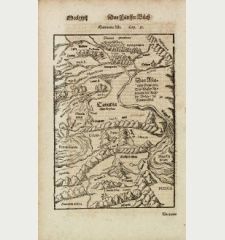 Printed in Amsterdam by Janssonius-Waesberge circa 1680. 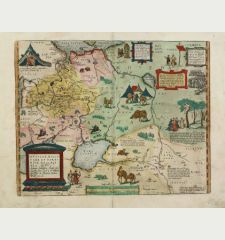 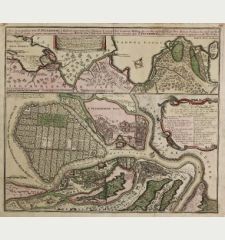 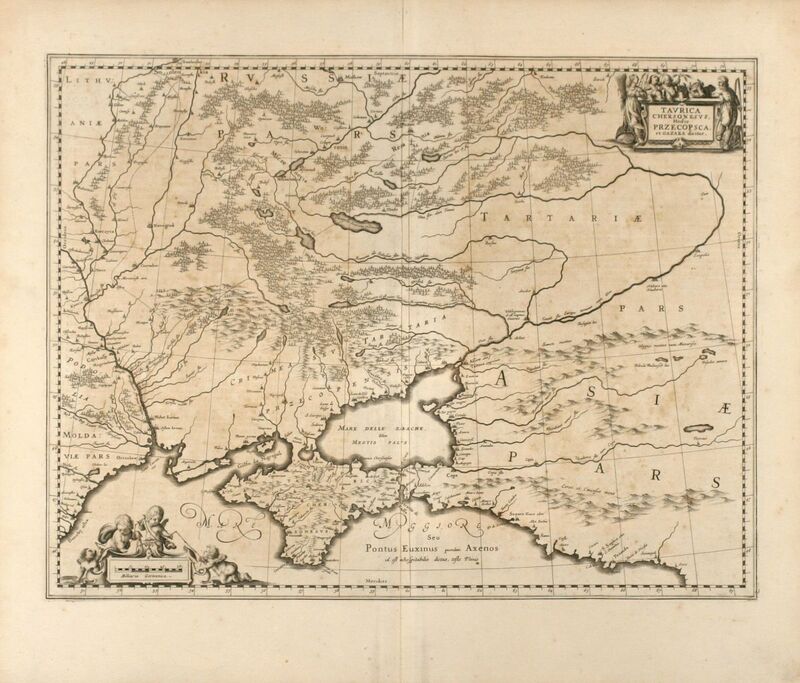 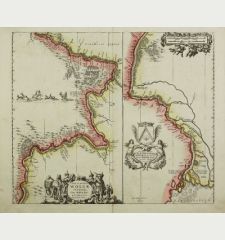 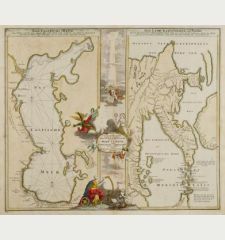 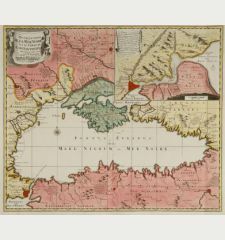 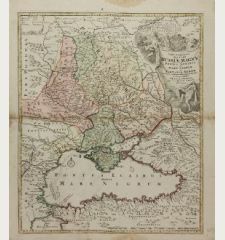 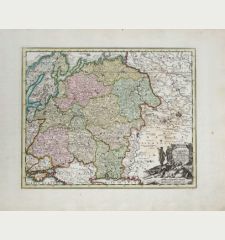 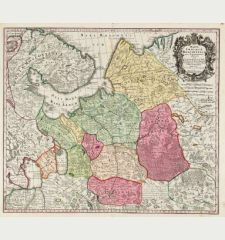 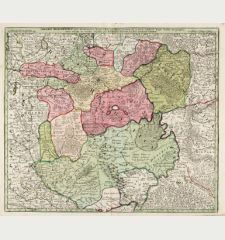 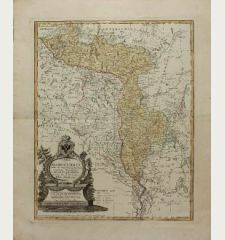 Attractive map of the Ukraine and the Krim peninsula from M. Pitt published by Janssonius-Waesberge. 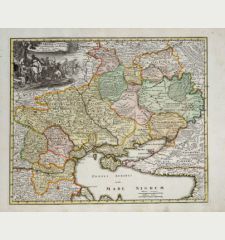 Based on the Mercator map of the Ukraine. 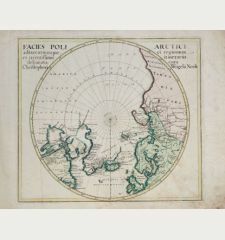 With two cartouches, Dutch text on verso. 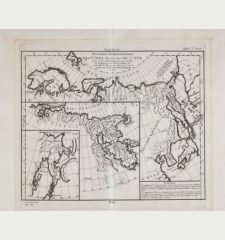 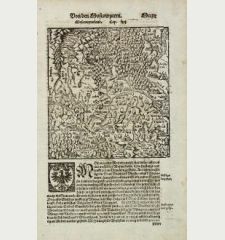 Title Taurica Chersonesus, Hodie Przecopsca, et Gazara dicitur.